For anyone looking for a nut free plant milk option, homemade oat milk is for you. We use a lot of almond and cashew milk in our house, but I finally decided to expand our horizons and try something new. 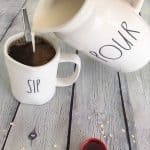 Oat milk is really simple to make, like most plant milks, and it’s a great way to ensure there are no added preservatives or fillers when compared to store bought options. Well, it’s simple really. Only two ingredients required, plus an optional third. First soak your oats for about 30 minutes before draining and adding them to a high speed blender. Then add your fresh water and maple syrup if using, and process until smooth. Do not over process! Very important not to over process your milk, as it tends to get “slimy” if you blend for too long. So only until smooth. Once smooth, you’ll need to strain your milk at least twice through a fine metal strainer, or use a cheesecloth. Store your milk in a lidded pitcher or container for up to 5 days. 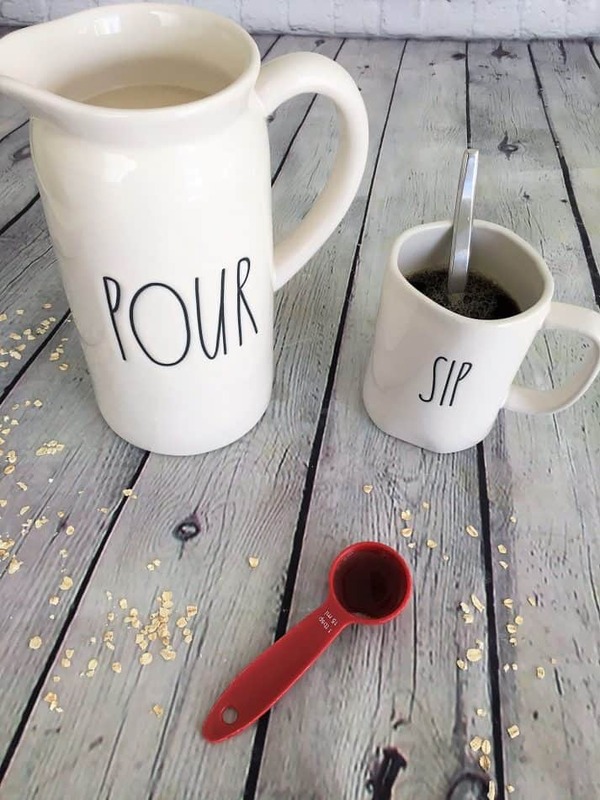 How to use homemade oat milk? You can use your homemade oat milk in almost any way you’d use any other milk. However, you don’t want to use oat milk to make hot chocolate or other beverages that would require the milk to be heated up excessively. This will change the texture of the oat milk, and also make it quite slimy. So any cold application works best, like in cereal or smoothies. I also enjoy this milk in my morning coffee! 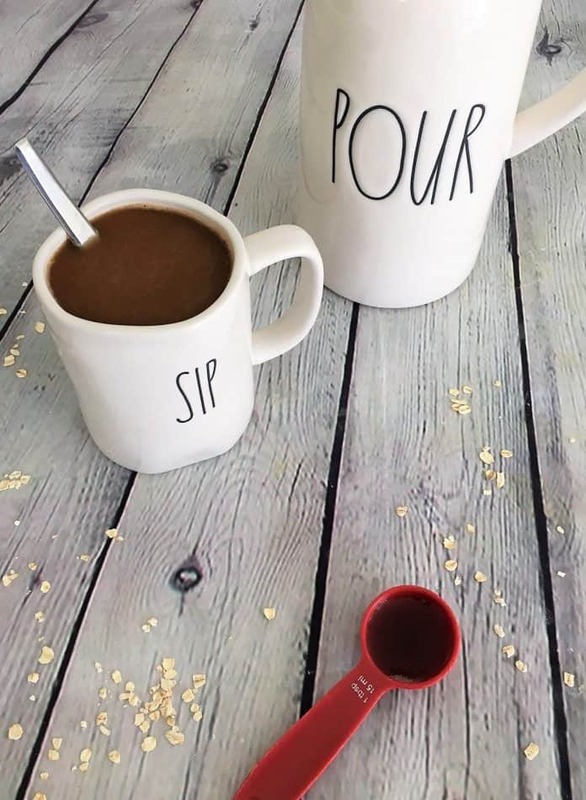 How do you enjoy your oat milk? Let me know in the comments below. And don’t forget to check out my other plant based milk recipe for Easy Homemade Cashew Milk. Homemade oat milk is the perfect solution to a nut free plant based milk. Use it in almost any application as you would another milk. 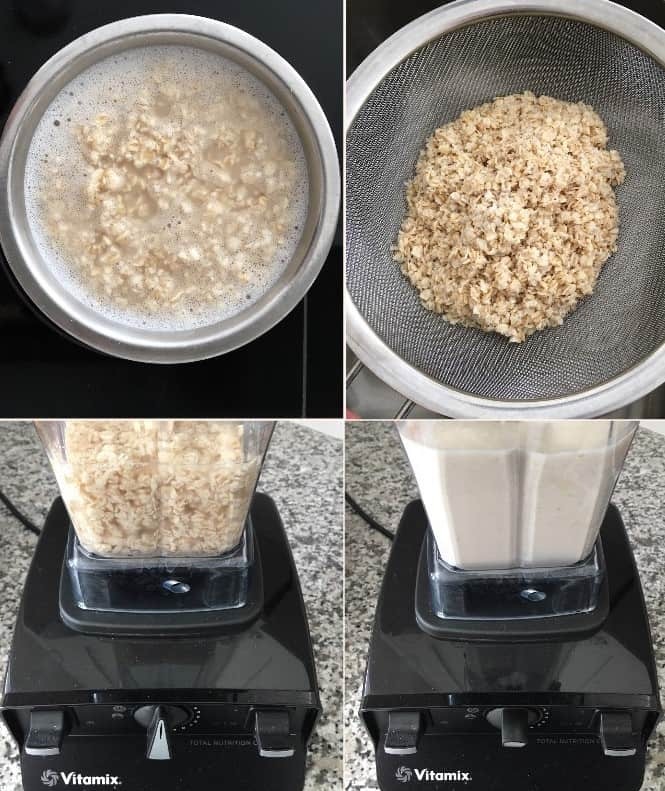 Drain and rinse your oats and transfer them to a high powered blender, along with the water and maple syrup. Blend on high speed until smooth, without over processing. Over processed oat milk tends to get "slimy". 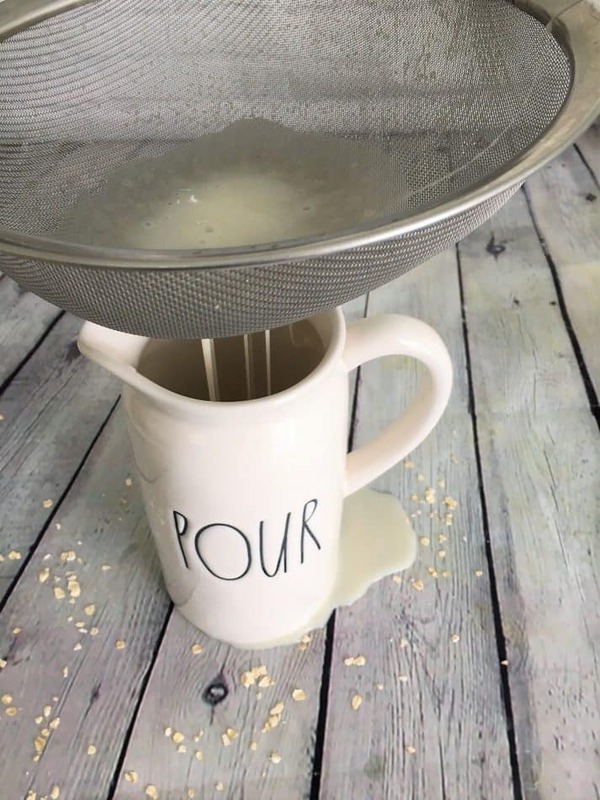 Strain your milk 2-3 times in a fine metal strainer or use a cheesecloth. Store in the refrigerator in a sealed container for up to 5 days. Oat milk may separate while sitting the fridge. If so, give it a quick shake or stir before using. So easy to make — thanks for the helpful tips! 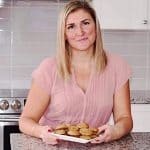 Such healthy option and great information too. Have to try making it at home. Looks delicious and best for a healthy breakfast too. Thanks Veena, hope you enjoy! I love oat milk and can’t purchase it in stores where I live. Making it at home is easy and cost efficient. I do suggest running the milk through cheesecloth though, I find it a bit gritty without that step. I can’t wait to try this! Making my own non-dairy milks always seems so intimidating, but this actually looks doable, and delicious too. Thanks Alyssa, hope you enjoy!